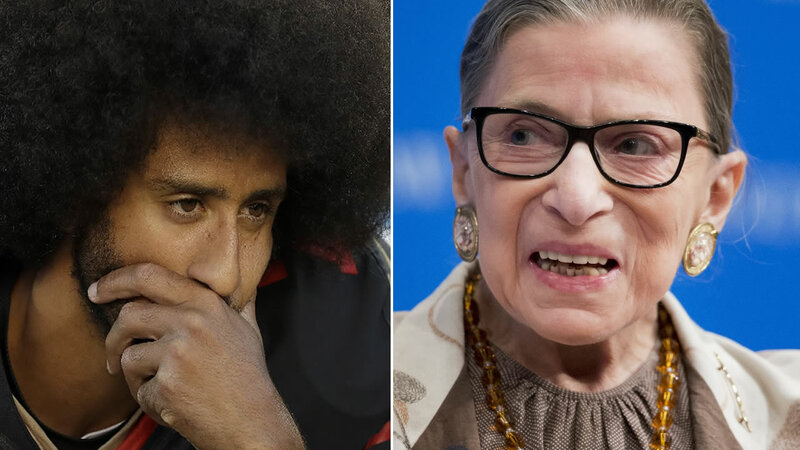 WASHINGTON -- Supreme Court Justice Ruth Bader Ginsburg has called the protests of football players who decline to stand for the national anthem "dumb and disrespectful." In a wide-ranging interview posted Monday on Yahoo, Ginsburg said she had the same opinion about flag burning. Click here for full coverage of Colin Kaepernick's anthem protest.